Carry thousands of pounds of cargo at a distance of up to 905 nautical miles at up to 185 knots with the Super Cargomaster EX. The name says it all — this master of cargo hauling shares the same durable airframe and wing construction as its fellow Caravans and the same famed dispatch reliability. Engineered to take a beating, this workhorse will take off from short, rough strips in various weather conditions in all parts of the world. The ASPECT Super Cargomaster aircraft is powered by a PT-6A-114A. 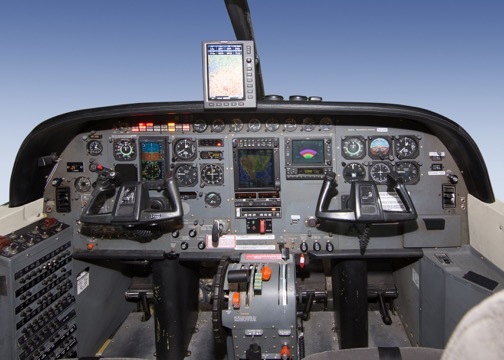 The PT6A turboprop engine is a powerhouse that offers unmatched performance, reliability and value in its class for a wide range of applications. 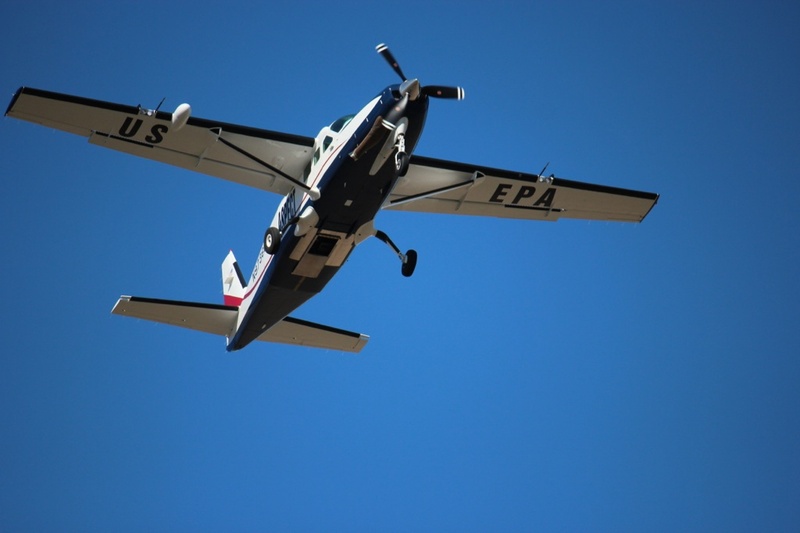 From transporting people in business and airline aviation, to dropping cargo in the Antarctic darkness at 75 degrees below zero and supporting environmental efforts in reforestation programs, the dependability and versatility of the PT6A family continues to earn the highest respect from pilots worldwide. The Super Cargomaster is part of the Cesna Caravan Family of aircraft. The dispatch reliability of the Caravan models is unparalleled: a remarkable 99%+ rate. For more than 25 years, operators have relied on these aircraft to meet the most demanding mission parameters; they haven’t flinched yet. Considering the powerful PT6A turbine powerplant underneath the cowling, it’s easy to understand why. This ultra-dependable engine from Pratt & Whitney Canada endows each Caravan model with exceptional payload capabilities. Factor in the inherent versatility, configurability and sheer ruggedness of the Caravan line, and the applications become virtually limitless. The Super Cargomaster’s airframe is constructed of durable aluminum and has multiple load redundancies and reliable remote operations. 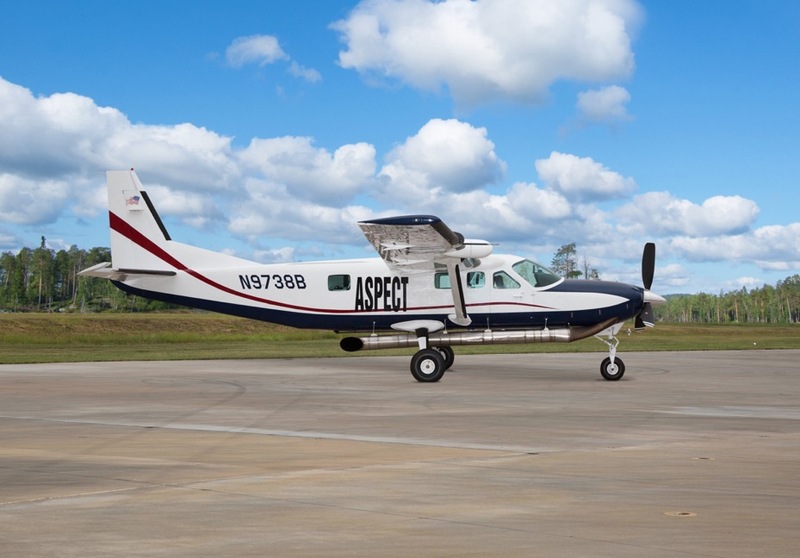 In the context of special mission operations, there’s a sense of rightness to a Cessna Caravan: a confidence that comes with knowing you have availed yourself of the best possible resource for the job. The rugged construction of all Caravan models is reassuring in itself, and with the versatility and configurability to meet the ever-shifting parameters of a diverse array of special missions, the Caravan line is your rock-solid star performer—not afraid to get dirty, always ready for the field. This design and capability makes the Caravan Super Cargomaster a good selection for the ASPECT aircraft, and a reliable platform for the ASPECT mission. This entry was posted in Airborne ASPECT, Airborne ASPECT Inc, Data Collection and Experiments, Images, Uncategorized by bwnunnally. Bookmark the permalink.